Do you remember The Waxwings? If not, it’s OK. Aside from overstuffed music-crit types, few folks do. One of the more underrated pop bands of the late 1990s and early 2000s, the Detroit outfit traded in unabashedly hooky confections that flew in the face of the Motor City’s then-burgeoning garage scene, which produced The White Stripes and The Von Bondies. It seems the Queen City has its own answer to the late alt-pop confectioners in Burlington-based quartet Lendway. The band’s full-length debut, The Low Red End, casts a saccharine sheen over the city’s thriving lo-fi rock set. Their bright, hook-laden indie-pop owes heavy debts to Built to Spill, Olivia Tremor Control and, of course, Lennon-McCartney — but don’t we all? With the opening track, “Yard Sale,” lead vocalist Michael Clifford digs in and gets his Lennon on early (and, later, often). Here, his melody, both in verse and chorus, can’t help but elicit comparisons to The Beatles’ classic “Don’t Let Me Down.” Although it seems less an attempt at aping and more a pastiche — particularly when the suitably anguished hook screams through the speakers, “Wait in line to please everyone else!” Think Dr. Dog-lite — those darlings of post-Beatles revivalism — and you’re on the right track. 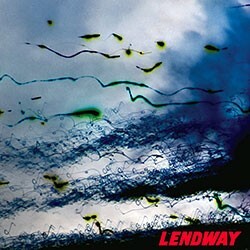 Like the aforementioned Waxwings, Lendway’s calling card is an undeniable knack for swooning, crystalline harmonies. Nowhere is this talent more evident than on the album’s fourth cut, “Hollywood.” It’s a woozy, wistful rumination, equal parts Rogue Wave-esque melodic jangle and Big Star-gazing five-part harmonic bliss. Without question, it’s one of the finer cuts on a largely impressive debut. Lendway has been around for just more than a year, though its members have played together in various forms for much longer. 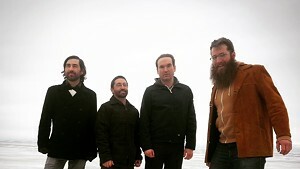 The Low Red End is the product of yeoman-like workmanship, of recording, re-recording and re-recording again until the sound reflected the band’s own evolution and growing cohesion. That latter aspect is apparent in the band’s striking harmonies, though elements can be found in almost every level of the recording. Songwriters and guitarists Clifford and Matt Hagen work seamlessly together. Bassist Kevin Lynam sets a fertile low-end foundation that never overpowers the group’s fragile melodic constructs. Todd Gevry, while occasionally a tad busy behind the drum kit, largely delivers tasteful flourishes and provides a solid rhythmic foil. Lendway are a young band with room to grow. But The Low Red End is a tantalizing appetizer. Lendway celebrate the release of The Low Red End this Friday, November 14, at Nectar’s with Burlington’s surf-noir stalwarts, Barbacoa.